We change our menus quite a bit, but here's an idea of what you can expect on the Piglet wine bar menu when you visit us for lunch or supper. We also always have a variety of specials which change daily depending on what great ingredients come our way. 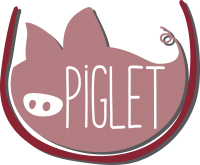 Piglet Supper Menu is served from 3pm - close on Monday to Friday, and all day Saturday & Sunday.